With Halloween just around the corner, Waxwork Records has seized the opportunity to release another pair of new releases. This time, it's the label's previously promised 50th anniversary soundtrack reissue of George A. Romero's horror classic Night of the Living Dead, as well as the soundtrack to Netflix's The Haunting of Hill House. Both of the releases will be out Halloween on Wednesday (October 31). And as could be expected, both come with various selling points. 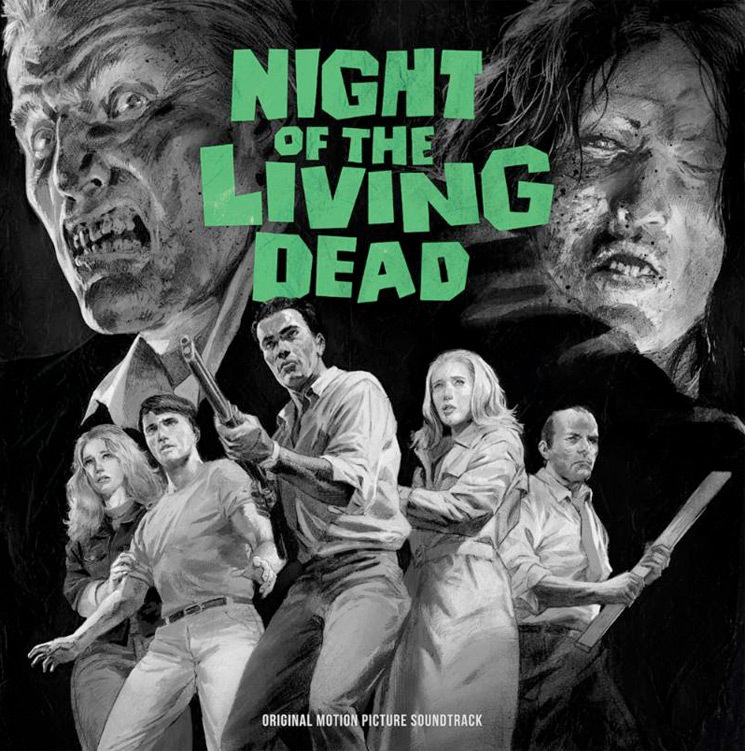 From 2015 to 2018, Waxwork Records worked closely with the remaining members of the independent production company that made Night of the Living Dead, Image Ten, in an effort to produce a definitive soundtrack album featuring all music from the film. Much of the film's music was thought to be lost or destroyed, but was located in its entirety and faithfully restored and remastered for vinyl. This special 50th Anniversary Original Motion Picture Soundtrack release of Night of the Living Dead features the complete soundtrack for the very first time in any format, 180-gram double-LP "Ghoul Green" coloured vinyl, all new artwork by Robert Sammelin, a booklet featuring never before seen production photos, liner notes by Daniel Kraus (co-author of The Shape of Water with Guillermo Del Toro), liner notes by Night of the Living Dead's dialogue recorder and sound engineer, Gary Streiner, and deluxe packaging. For The Haunting of Hill House release, the music was composed by the Newton Brothers. Waxwork explains that the OST "features compositions that are a complex blend of ambient orchestral cues and melancholy, haunting piano. The music is effectively hypnotic, ghostly, gothic, and at times, downright terrifying." This release will also arrive as a deluxe double-LP set on 180-gram vinyl, this time on "Haunted" green and blue swirl wax. The art design and layout comes via Aesthetic Apparatus and features printed inserts, productions stills, old style tip-on gatefold jackets with satin coating and deluxe packaging. You can get a better idea what each release looks like below, where you'll also find some song selections from Night of the Living Dead. You can sample The Haunting of Hill House OST over here.